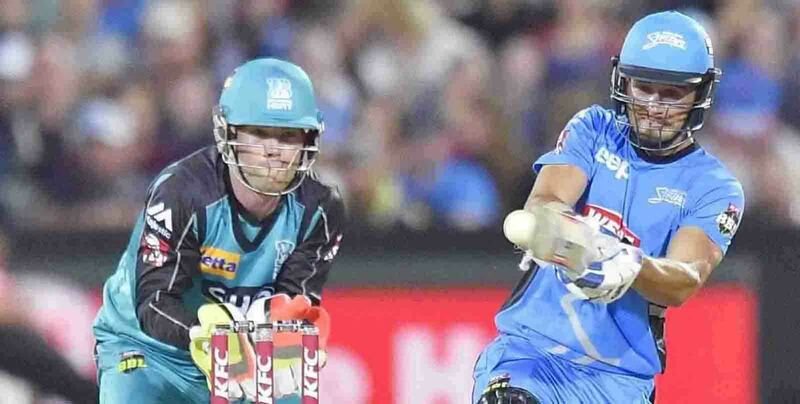 The Heat have copped a Big Bash League reality check after suffering a five-wicket loss to reigning champions Adelaide in Wednesday's tournament opener at the Gabba. The Strikers were so strong they could even afford to withdraw successful run-out appeals as Brisbane bumbled their way to a poor start to the summer. The Heat limped to a respectable total of 146 thanks to a 45-run stand for the last wicket, but it wasn’t enough as the Strikers comfortably brought up 5-147 with five balls to spare. The Heat will be looking to bounce back against Hobart when the BBL debuts at Metricon Stadium on the Gold Coast on Saturday. The Heat’s batting could not get much colder. After making a solid start at 2-78, the Heat crumbled to 9-101 and were bowled out in the first innings at the Gabba for the first time in BBL history. Captain Chris Lynn (33), Joe Burns (20) and debutant Max Bryant (22) made starts without kicking on while Brendon McCullum (four), Sam Heazlett (two) and Ben Cutting (eight) failed. If not for a 45-run last-wicket stand between wicketkeeper Jimmy Peirson (24 not out) and teenage Afghan spinner Mujeeb Ur Rahman (27), the Heat would have been well and truly embarrassed. The Heat were regularly under pressure after their top order failed last summer and that looks like it could a problem again. New Zealand superstar McCullum has been one of the world’s best white ball players, but at 37 he may be past it. McCullum was out second ball for four after slashing his first delivery to the boundary. He averaged 24.8 in 10 games for the Heat last summer, making two fifties, but is too hot-and-cold at the top of the order. McCullum attended a private party instead of warming up for the BBL in Brisbane club cricket last weekend like his Heat teammates. Remarkably, the Heat have signed him until the end of the 2019-20 tournament when he will be 38, a big risk for a player on the slide. Lynn top-scored for the Heat but his innings was a disappointment overall given the circumstances. In his first game back as skipper, Lynn had an opportunity to prove he was ready for the responsibility of leading the Heat when he arrived at the crease in the first over. 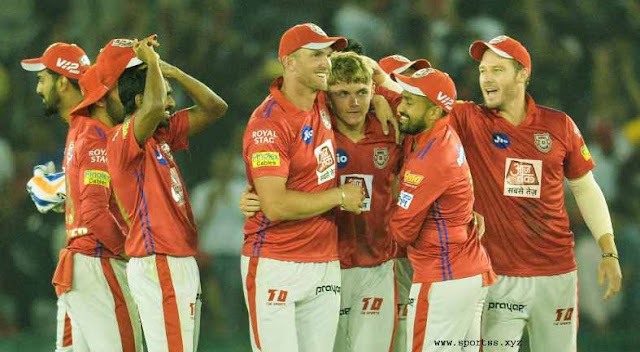 But he was sucked into a false shot by experienced Strikers quick Peter Siddle for 33 (20 balls) and slammed his performance. “It was a pretty dumb shot from me,” Lynn said. “Being the leader of the side I need to be smarter than that. The Strikers are not only the reigning BBL champions, they are also the best sports in the tournament. Adelaide captain Colin Ingram was part of a bizarre situation last night when the Strikers withdrew a run-out appeal following a dreadful decision by the third umpire. Heat batsman James Pattinson was given out by the video umpire despite appearing to ground his bat inside the crease. The ensuing confusion carried on for five minutes before the Strikers decided to give Pattinson a lifeline. “It was a unique scenario,” Ingram said. “I chatted with Ben Laughlin and he said ‘what’s the option of withdrawing the appeal?’ We could all clearly see it wasn’t out. “We’ve got to back what we saw and we were really happy with that. We wanted to get on with the game. Adelaide has arguably the best bowling attack in the BBL again this summer. The Strikers bowlers were sensational last night and could have had the Heat rolled for just over 100, if not for a big 10th wicket partnership. Afghan spinner Rashid Khan (3-19) bamboozled the Heat along with Twenty20 gun Ben Laughlin (1-28) and off-spinner Matthew Short (2-14). The bowling effort was remarkable considering Australian quick Billy Stanlake (2-50) was smashed all over the park. Australian wicketkeeper Alex Carey made light work of the Heat’s attack with a composed 70 from 46 balls to lead Adelaide to a comfortable win. The Strikers took until the 20th over to get the job done but never looked in danger of losing.